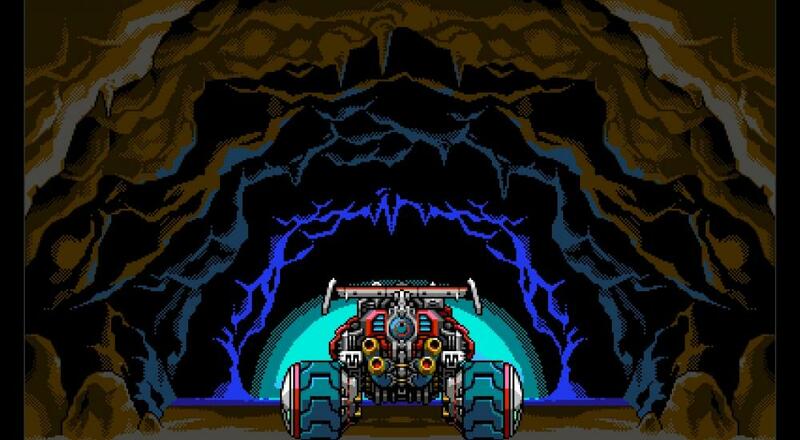 Inti Creates' homage/remake of the original NES Blaster Master, Blaster Master Zero, has received a new update that adds a new "Boss Blaster" mode. Best of all, it also adds a co-op version of this mode that allows two players (locally) to work together to tackle all those baddies. The title does support two player couch co-op throughout the campaign, though it's worth noting that the second player is assigned to a "support role." They cannot control the main characters (Jason and his vehicle SOPHIA III) or affect weapons/upgrades for them, rather they control an on-screen cursor that can help block incoming bullets and take out some weaker foes. On the plus side, being helpful fills up a special gauge that then allows player two to drop recovery items for player one, so there is some co-op involved at work here. With the new "Boss Blaster" mode, though, player two gets to take a far more active role in the action. They can control a character of their own (either Jason, or any of the DLC "EX" characters available for $1.99 each) and team up with the first player to face off against all the title's big bads. The "Boss Blaster" update is available for free on the Nintendo Switch. Blaster Master Zero is available via the Nintendo eShop for $9.99 and supports two players locally in the campaign and the "Boss Blaster" mode. Page created in 1.1364 seconds.